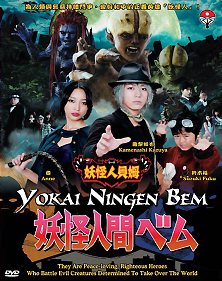 Bem (Kamenashi Kazuya), Bella (Anne) and Bello (Suzuki Fuku) are ugly monsters that are neither human nor animals, but they are peace-loving, righteous heroes who feel compelled to help humans in trouble. Because they are monsters, they are feared and detested by humans, and on top of that, pursued by the police. However, a friendship develops between them and a detective (Kitamura Kazuki) by mere accident.